Runaway, mignon, Blah + More! Christmas Party with Garden Gnomes! Featuring items from Peaches n Cream and LAGOM. Lagom, CMYK, Reverie & More! scarf: NS cutie store – cozy winter scarf *new* and $100L for a limited time! Wasabi Pills, FLF & More! 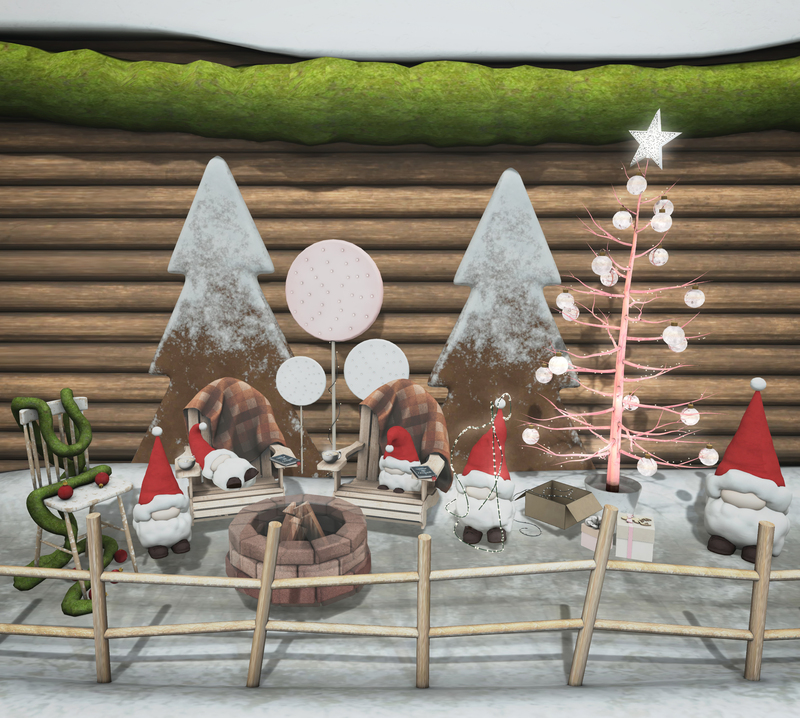 poses and animal props by Fashiowl – chrismas friends *new* at Tannenbaum . photos taken at CALAS GALADHON’S HOLIDAY SIM. This is going to be a quick and dirty post because you have no idea how insane the past week has been in SL and in RL… I’m not sure how many more posts I will be able to make this month. I lost a dear friend in RL, have a new job, and have the holidays coming up. December is a deek! Be sure to stop by Twelve Days of Legion before the 25th.. there are so many great items there and some come with an additional transferable box so not only can you enjoy it for yourself… you can give a copy as a gift to your pals! There are soooooo many events going on in SL right now, it is insane! I don’t have the L$’s to keep up. Here is a cutesy candy cane themed holiday post for you! Hope you have a loverly whatever-you-celebrate! Be sure and check out the Holiday Sweets & Treats fair this month! It is at Havendale Village and goes until Dec 31st. poses by elephante poses (ty ♥).